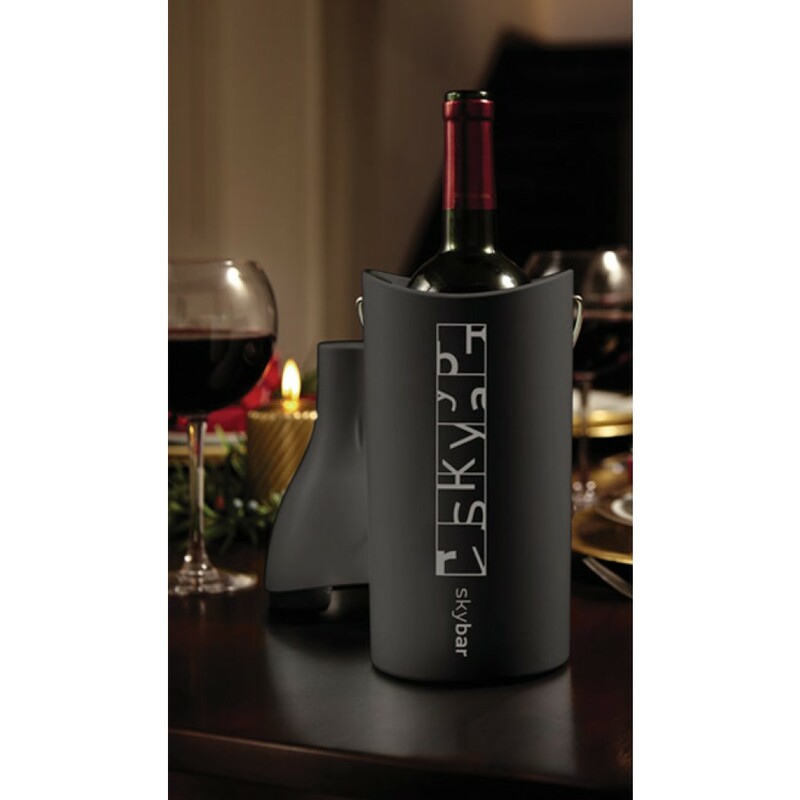 A convenient carrying handle makes it perfect for toting wine to dinner, restaurants or evenings out on the town. It's re-usable and complete with gift tag! 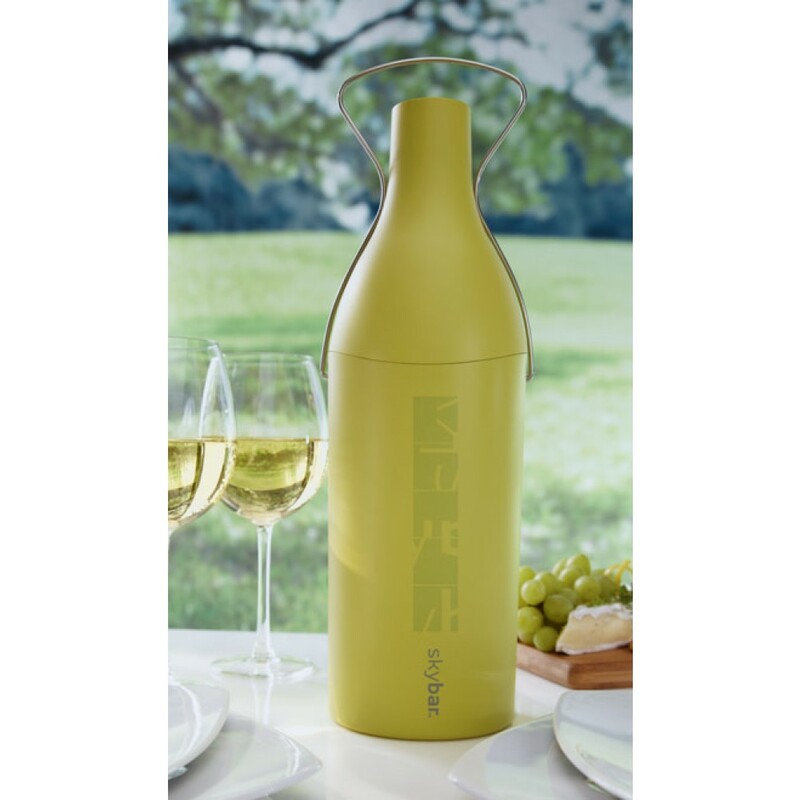 A tip free, sturdy base makes it possible to leave the lid off your bottle. 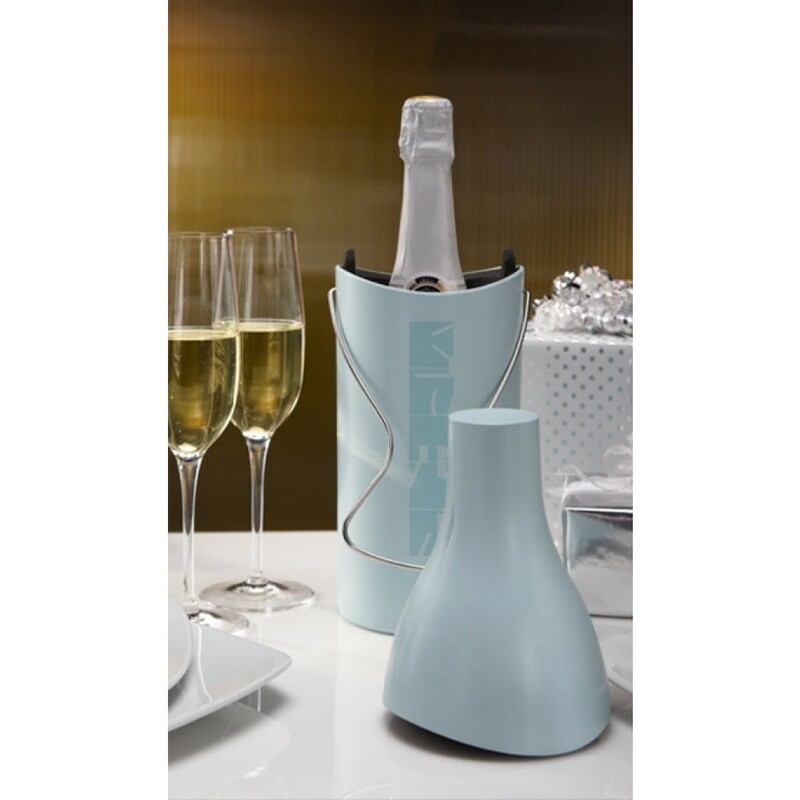 Keeps pre-chilled wine or Champagne cool up to 2 hours, even in hot weather. To use, insert your pre-chilled bottle into the carrier. Place the lid and snap the handle. 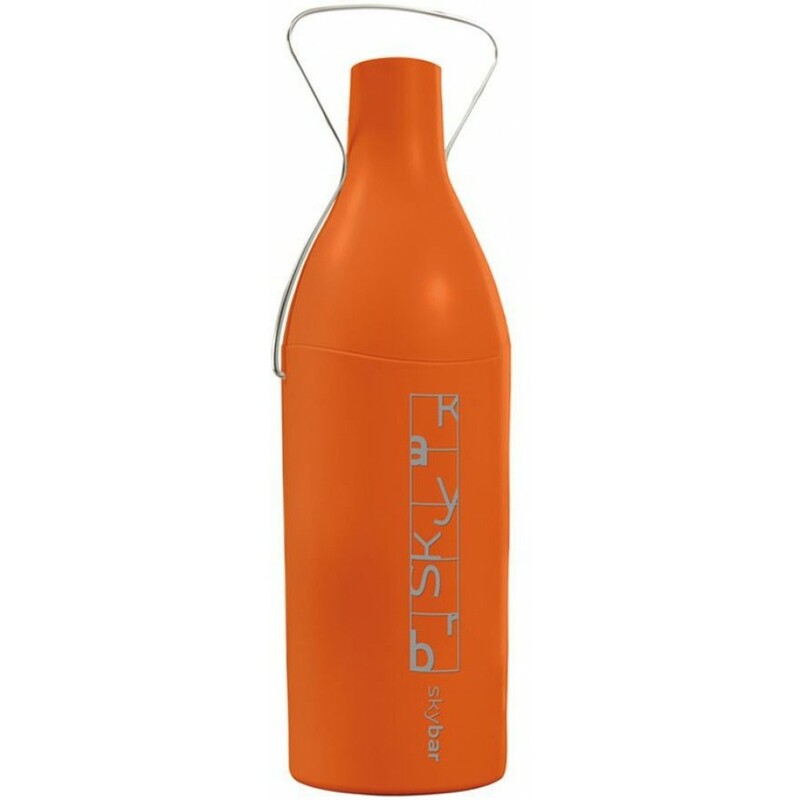 To open, unsnap the handle and remove your bottle. Clean with a soft wet cloth.